Do you have a dream of starting a blog? You should do it! This post may contain affiliate links for things I highly recommend and love. Click here to get started (it will open in a new window) then follow the step-by-step tutorial below. What are you passionate about? What’s something you can talk about day after day and never get bored of. That’s your topic/niche! Don’t worry, you can always adapt as you go. Your topics can always change after you start, mine did! So don’t stress too much about it too much. Don’t get too caught up in this step. It’s less important what direction you go and more important that you actually start. Sometimes the only way to figure it out is to begin the journey. So many people get so caught up in this step that they never start a blog because of it. Don’t let that be you. When you’re ready to start a blog, it’s important that you are self-hosted. That means you own your website address. The top one you own, the bottom one you don’t. A self-hosted site is reliable, monetizable and yours to do whatever you want with. You can get a self-hosted site through Bluehost (the same place I started my blog) for as little as $2.95 a month (that low price is only available through my link). It’s worth every penny to start with a self-hosted site and will save you a huge headache later trying to migrate over to one. Enter the website address you want — if it’s unavailable they will suggest alternatives. Remember, don’t over think it and never start your blog because of it. Choose your account plan — basic is fine, you can always upgrade later. I also highly recommend Domain Privacy Protection (it helps keep your personal information private). Generate a password. Write it on a piece of paper or a secure document on your computer and save it in a safe place. When the pop-up appears, hit “Setup Your Website”. View credentials. That’s your back end login information. Go ahead and login and then you’re ready to choose a theme. See below. You’ll be getting an email from Bluehost with the subject “Action Required: WHOIS Accuracy Verification For yoursite.com.” All you have to do is click the link in the email to verify your account. It takes 1 second and you’re done. When you’re ready it’s time to select a theme. There are a lot of options out there. We started with a free theme (called Sugar and Spice) and it totally worked but if I was doing it over I would start with the Genesis framework and a Genesis theme (which is what we use now). Genesis themes are very clean, professional and better for SEO (stands for search engine optimization) AKA traffic from Google. Note: All the links above include prices for the Genesis framework + theme, you will need both. Ready to turn your new blog into a business? Your site is now partially set up but there are still so many details left – it can feel overwhelming and be very time consuming if you don’t know what you’re doing. Successful Startup removes those frustrations by giving you easy-to-follow instructions on exactly what to do when to do it all the way to getting paid! You’ll know what to spend your time on (and what not to waste your time on) so you can get to the money-making stage pronto. It will show you how to finish setting up your blog, including creating your menu bar and sidebar, making a DIY logo, and more. Then, you’ll learn the secret sauce – what it takes to make your blog stand out. How to gain and keep loyal followers. How to craft amazing posts that attract lots of readers. How to grow a strong email list from the beginning. How to promote your posts the right way. How to set up multiple income streams. Successful Startup has 12 sections, 30 lessons, worksheets, video tutorials, bonuses and a private Facebook group! Learn more about the course, scan the FAQs and read about the bonuses by clicking here. Successful Startup is a fast track. It will save you hours and hours of time. It will get you where you want to go quickly and efficiently, and it will all be done the right way. I’ve kept the price totally do-able for you so it’s a no brainer to say YES to. Disclaimer: Blogging is a wonderful business with a very low start up cost but it’s not a “get rich quick” scheme. How successful you will be will depend on how much time, commitment, marketing knowledge, resources and investment you put in. This has rly inspired me. Thank you! Each sponsored posts has a different brand that I featured in the content. I recommend only saying yes to brands that you would be talking about anyway, ones you absolute love and would recommend to your nearest an dearest friends. Stay true to yourself in what sponsored work you take and your readers will love you because of it. Thank you so much, Alida! I am so new in the game and it’s a whole lot to take in. I have so many lovely products that I’d love to share with my readers I just have to get organized. Great information and has inspired me to look into creating a blog. There seems to be a lot of choices in the startup section. The third option has domain privacy. Do i just start with the basic startup or should i pay for the upgraded packages. Is basic all i need? I would just go with basic and you can always upgrade later if/as you need it. The domain privacy is the only extra that I recommend but it’s up to you. Hi Alina, I’m interested in becoming a blogger. I have some ideas that I’m trying to nero down. I’m curious though how you make money or an income from the blog? I currently work full time but would love to be able to be home more often with my family. Any advise would be greatly appreciated. Hey Jasmyn, I would reccomemd checking out my income reports for ideas on ways to make money on a blog. Hi Alida, I’m very interested in starting a blog but I live in Nigeria. Will Bluehost work for me or is it better to look for a local hosting service? Should work just fine. Best of luck on your new adventure! Hi. I am new to your site. 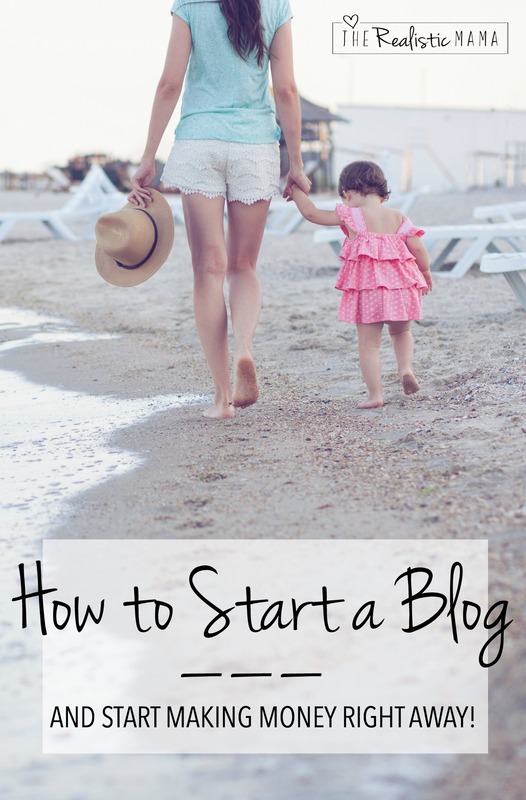 Starting a blog is something that I have always been interested in doing however my family is on a very tight budget. How much would you say it cost to start a blog? Hi Kandice! That is so exciting! I completely understand tight budgets and family always comes first. However, using the link in our post as a special offer, you can start a blog for only $2.95 a month! This will include how to get you started, and create the webspace that you need. You will also need to purchase a domain, but you can actually get that for free if you pay for 12 months up front. All other blog expenses you can wait on as you can afford them/ your blog grows. Let me know if you have any other questions and good luck!